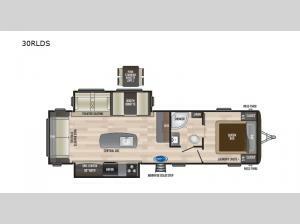 Enjoy all of your favorite camping locations when making this Hideout travel trailer your home. 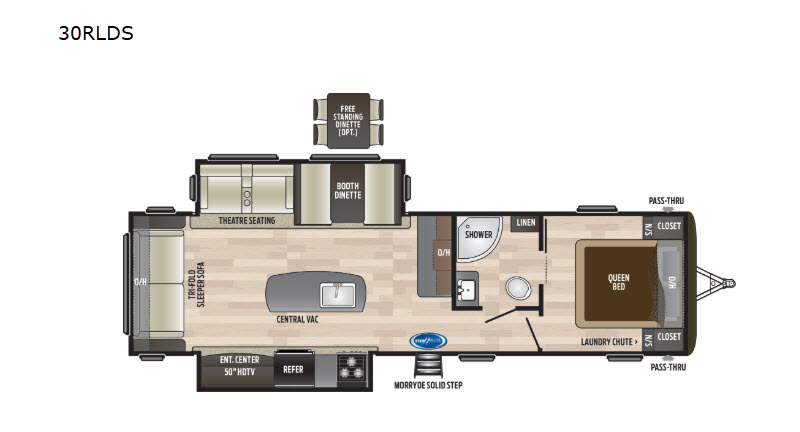 This unit features a rear living layout and two opposing slides for added interior space which helps this trailer sleep five people each night. In the kitchen you will find plenty of counter space at the island, and the large sink will be helpful for cleaning up after dinner. Relax comfortably in the theater seating before heading off to bed in the master suite.